Here Oliver explains how to insulate the windows in your home to reduce heat loss and create a warm and cosy space to enjoy throughout the cold winter months. Choose ThermaShade™ blinds to equip your room with a stylish insulating barrier that helps prevent heat loss through the windows. So you can turn down the thermostat while keeping that cosy feeling and saving money on fuel bills. Here’s how it works. Unlike most window dressings, ThermaShade™ blinds use a special fabric comprising honeycomb cells. The small amount of air trapped in the honeycomb cells creates an effective insulating layer: it helps stop draughts coming in and the warmth from your heating escaping the other way. 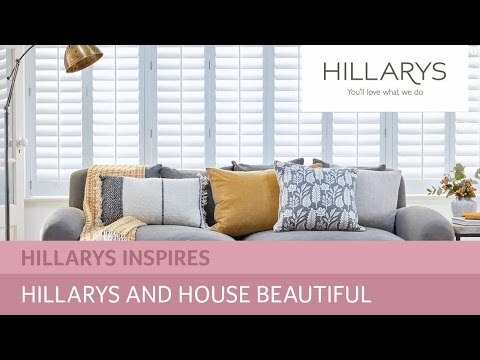 Of course, as well as keeping your room cosy, ThermaShade™ blinds look great and come in a gorgeous range of colours and patterns. Quite simply, an in-home appointment is the best opportunity to find your perfect ThermaShade™ blinds. You’ll benefit from an expert advisor coming to see you at a convenient time. During the appointment, your advisor will give you time to browse our blinds while offering their experienced opinion on style and practical matters. Feel free to ask any questions – your advisor is there to help and give you the answers needed to make the right choice for your home. What’s more, your advisor will measure your windows and give you a quote that includes fitting. Using your window measurements, your blinds will be made-to-measure for a bespoke fit. 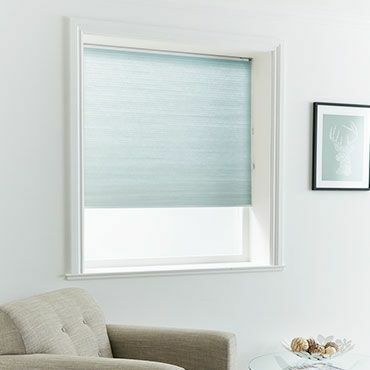 The tailored finish looks amazing – and fits so snug it enhances the insulating qualities of your ThermaShade™ blinds.